The AccuSharp Dual Blade Turboslide Knife | BUDK.com - Knives & Swords At The Lowest Prices! Now from the maker of the world's best knife sharpener comes another innovative tool that everyone can use - The AccuSharp Dual Blade Turboslide Knife. 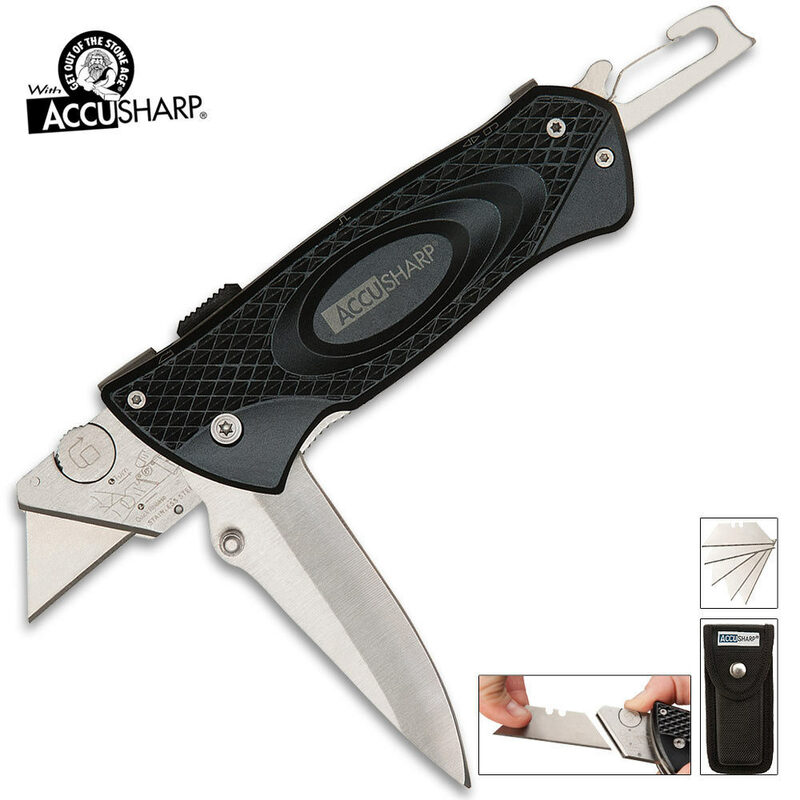 This tool combines the functionality of a sport folding knife with the usefulness of a utility knife. And this utility knife is designed with a quick change mechanism to simplify changing the razor blade. It also comes with five replacement blades for your convenience. Constructed of anodized aluminum and stainless steel, this tool is built for years of rust free use and comes with a lifetime warranty. A carabiner clip is also enclosed on the knife to keep it close by and handy. Includes nylon belt sheath.